Our popular eBook 9 Common Questions that Keep Job Shop Owners Up at Night and Answers to Help You Sleep Better is packed with answers, practical tips, and advice for small manufacturers looking to improve their business. 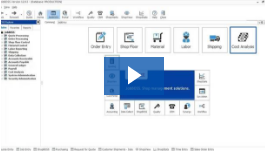 The fifth question addressed in the eBook is: How Can I Eliminate Machine Bottlenecks and Keep Employees and Jobs on Schedule. Our popular eBook 9 Common Questions that Keep Job Shop Owners Up at Night and Answers to Help You Sleep Better is packed with answers, practical tips, and advice for small manufacturers looking to improve their business. The fourth question addressed in the eBook is: Why does order entry take so long, and my staff make so many mistakes? Our popular eBook 9 Common Questions that Keep Job Shop Owners Up at Night and Answers to Help You Sleep Better is packed with answers, practical tips, and advice for small manufacturers looking to improve their business. The third question the eBook addresses is, How can I avoid preventable mistakes? 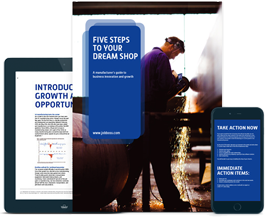 Our popular eBook 9 Common Questions that Keep Job Shop Owners Up at Night and Answers to Help You Sleep Better is packed with answers, practical tips, and advice for small manufacturers looking to improve their business. The second question the eBook addresses is, Where can I get a full picture of my inventory, so I stop wasting time and money?